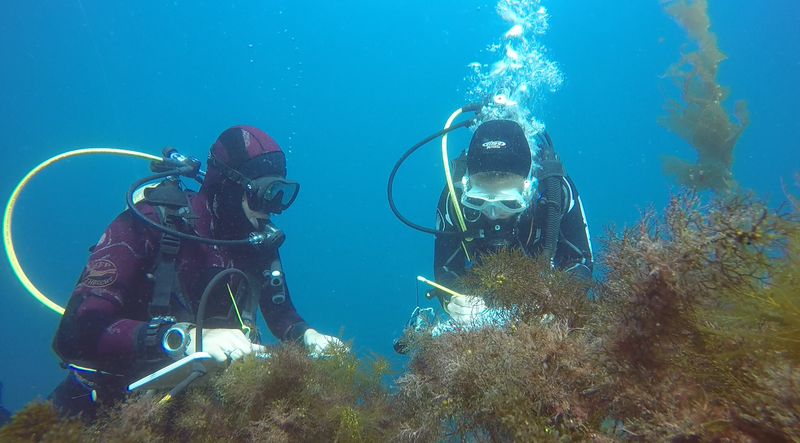 This semester-long program provides an intensive undergraduate exposure to marine biology, and is designed for students with a serious commitment to environmental and marine science. 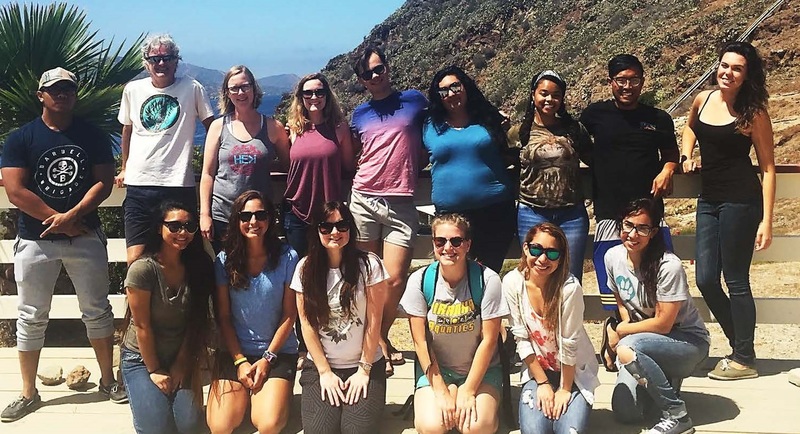 The 15 week program is based at the Wrigley Marine Science Center (WMSC), situated on Santa Catalina Island, 26 miles from Los Angeles, CA. This location provides access to beautiful, pristine marine habitats, diverse marine life and breathtaking island views. 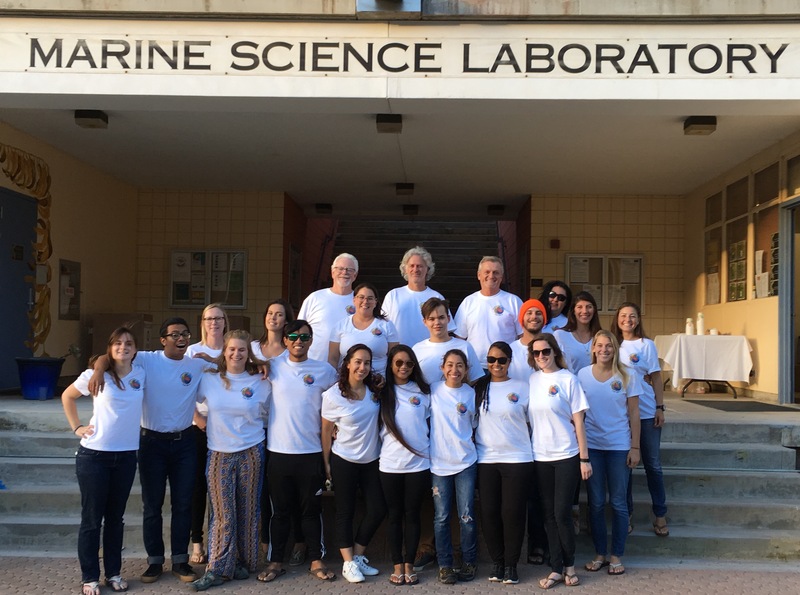 WMSC is owned and operated by the University of Southern California (USC), and the program is being offered through the California State Universities, affiliated with the Ocean Studies Institute (OSI) and the Southern California Marine Institute (SCMI). Throughout the semester, students are introduced to a sequence of courses that prepare them to complete a directed research study in a topic of their choice. All courses provide a strong element of hands-on field experience, which provides the comprehensive training that can help in career choices and graduate decisions. Before the semester begins, a two-week AAUS SCUBA certification course is available at an additional cost for qualified students who wish to dive on SCUBA during the semester. However, only snorkeling skills are required for class participation. Please note: these courses will occupy daytime and in many cases, evening hours, including some weekends. $50 application fee payable to USC/SCMI. This fee is non-refundable. Qualified students are accepted on a first-come, first-served basis. 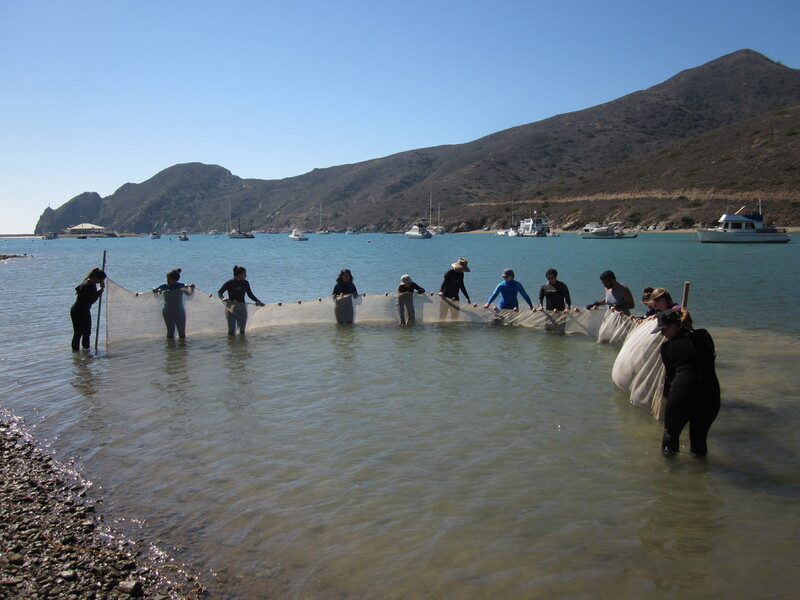 The CSU Marine Biology Semester is an Upper division program that is designed for students who have completed their lower division coursework in Biology. For Fall 2019, after screening by the CSULB faculty, registration will be through California State University Long Beach (CSULB). CSULB students will register directly through that campus. Other CSU students will need to fill out the Intrasystem Visitor Enrollment form, which will enable registration through CSULB. Units may then be transferred to the appropriate campus. Non-CSU students will need to register through CSULB’s Open University Program. *Note: All Costs for Fall 2019 are subject to change based on yearly tuition rates. 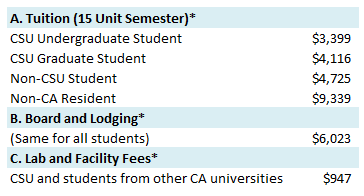 CSU Students who are non-CA residents are subject to CSU Out-of-State tuition fees. Two round-trip passages to the island are included (at the start and end of the semester, and over Thanksgiving). There will be additional costs for books, dissecting equipment, library privileges and personal field equipment. This course covers the taxonomy, morphology, physiology, and ecology of the major algal groups. This course covers the taxonomy, morphology, physiology, and ecology of fishes. Emphasis on local marine fishes. Discussion of ecological principles underlying the structure and function of marine communities; analysis of ecological data with univariate and multivariate statistical techniques. Students develop their ideas during the first 12 weeks of the semester, prepare a research proposal, complete their studies, and present their findings in a mini-symposium and a report. Dr. Jayson Smith (Marine Phycology) received his PhD. in Ecology and Evolutionary Biology from the University of California, Los Angeles in 2005 and joined the Biological Sciences department at California State Polytechnic University, Pomona in 2011. He is a marine conservation ecologist with particular interest in anthropogenic disturbances and their impacts on ecosystem functioning and community structure in coastal habitats. Dr. Chris Lowe (Marine Ichthyology) received his Ph.D. in Zoology from the University of Hawaii in 1998, and has been on the faculty at CSU Long Beach since 1998. His research focuses on the physiological and behavioral ecology of fishes, using acoustic telemetry to quantify the movement patterns of elasmobranchs and nearshore game fishes, particularly within marine reserves. Dr. Bengt Allen (Ecology of Marine Communities) received his Ph.D. in Ecology and Evolution from Stony Brook University in 2007 and started at CSULB that same year. He studies the effects of climate change on marine communities that include rocky shores, salt marshes and seagrass beds.